Tiger’s eye is a powerful stone known to instill fierce confidence in its wearer. 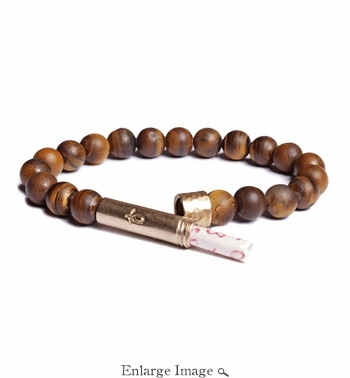 Known to reduce fear and anxiety, tiger’s eye allows your natural confidence to shine and thrive. When you shed those negative emotions, you can become sharply focused on your true desires. Between the newfound confidence and unwavering focus, nothing can get between you and whatever you are set out to do.